A woman recently sent me a kind message on Twitter — she enjoyed The Snow Child and wanted to discuss it with other readers. Did I have any suggestions for starting up a book club? Her question got me thinking about my own book club. About nine years ago, my mom read the novel Unless by Carol Shields and couldn’t decide what she thought of it, or what it meant. She asked me to read it, and we spent the next several jogs together discussing it. But we still felt unsatisfied, so we decided to start a book club. I have mentioned The Betties in earlier letters to you. We are a group of women of varied ages, political backgrounds, and careers. But one of our commonalities — we all love to read. I’ve also attended several other book clubs recently as an author to discuss The Snow Child. One was organized through a local church, and the women met at 11 a.m. on a weekday with a potluck brunch. Another was a neighborhood club that gathered on a weekend evening at a house at the end of a long, snowy road. There were men and women, wine, moose meatballs, salads, and guacamole. Another group was coordinated through a local library, met on a Saturday morning, and featured hot coffee, sweet breads, and fresh strawberries. They all were fun, engaging groups. So what’s the recipe for a good book club? You begin with the people. And I don’t necessarily think they all have to be people you know really well. 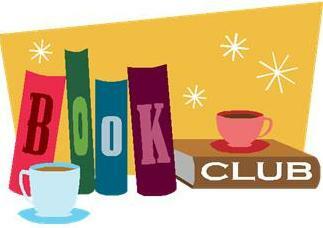 Acquaintances can make great club members, because the one thing you’ll have in common is the book. There might already be a group organized through a local library or bookstore, but if you want to start your own, reach out to friends, coworkers, neighbors, acquaintances from the local coffee shop or bookstore. A diversity of age and background is helpful because it can provide more depth to the discussion. A lot of clubs, it seems, are all women. I know of one local group that is restricted to men. Originally we had wanted to include both men and women but at the time couldn’t find any men who were willing to sign on, and hence we became The Betties. While you might begin by being open to whoever stops by, I’ve found that in the long run book clubs do best with a stable membership. Over time, you will hopefully establish a rapport and comfort level, and even develop your own inside jokes having to do with the books you’ve read. To protect that feeling of safety and familiarity, you might want to close to new members at some point. From what I’ve seen, 6 to 12 members is rather ideal. So besides the people, the only absolutely necessity? No, not food and wine, although those are nice, too. Books. Some clubs choose books for the entire year and make up a schedule. In our group, we just pick the next read the night of book club. It allows for some spontaneity. If someone has just heard of a new book or has a recommendation, we can jump in. We try to read everything — fiction, nonfiction, new release bestsellers, classics, translations. We read poems during National Poetry Month (which is April, by the way.) And at least once a year we choose a young reader book so our children can join in. Instead, complex, layered, controversial books often lead to the most intense conversations. Another smaller, but also important, detail: where to meet? Library meeting rooms, coffee shops, and bookstores are all great options. Our own group rotates among the members’ homes. There are a couple of advantages — visiting someone’s house can make you feel more connected. It also allows us to do a potluck meal. We each bring a salad, dessert, or main dish, as well as a bottle or two of wine. But if you’re just starting out, you don’t know the club members well, or you don’t want to have to frantically clean your house, then a public place is a great way to go. As for the discussion, you can opt for formally organized or more relaxed. To keep things on task, some groups I know assign a discussion leader for each meeting. They bring talking points, questions, background information, etc. While I suspect this works well for guiding the discussion, we Betties have opted for a more casual approach. We just start talking. Someone will often read aloud a passage they enjoyed or questioned. Another person will sometimes bring historical background or further reading. For about an hour or so, we concentrate on the book, asking each other questions, trying to probe more deeply into the text. Then the discussion is usually drawn to other matters — our children, our jobs, our pets, our trials and tribulations. But that can also be the joy of a book club: you begin with books, and end in friendship. I’d love to hear from you — are you in a book club? How is it organized? Or are you thinking of starting one? I am a Betty and I love our format. It’s casual and friendly. We don’t argue over what we thought of a book – you liked it, I didn’t – that’s fine. Over the years I have come to know and love the other Betties. We have been through some hard times together but have also rejoiced at the accomplishments and achievements of our members and their families. It seems our love of books is not the only thing that draws us together. Each month I look forward to our book club night to not only discuss the book we’ve read, but to hear news and updates on what’s going on in their lives. I live in a community where there are no fewer than 24 book clubs. It’s like a salad bar for writers, since these clubs are most generous with their time in reading our books. All clubs are generalists, except two. Of the two that are specialty clubs, one is men only and reads nothing but non-fiction; the other is a classics club. I asked one local club to read a manuscript to see it I was on the right path. I went to Lulu, had ten books made and gave each reader a book with a plain white cover and a red pen. Their generous comments sent me back for a rewrite — they were right. My agent loves the rewritten version. Book clubs are composed of people who love the written word. As a writer, they are my readers. I love them all. I like your tips, or should I say “recipe.” I’ve always been intrigued by the idea of starting a book club. I’ve started writers groups in Puerto Rico and Kodiak but never a book club. You’re giving me ideas, thanks. There is a book club in my new neighborhood that is strictly for married couples. I don’t qualify since I’m a widow. I’ll have to keep looking. Wow, wonder what they are reading that it is a couples only group and excluding others !! Good comment on book clubs. Looking forward to having you come to ours soon, which is also the casual meet at members homes type. Also enjoying your blog and following your success & travels with the Snow Child.